At Ever After High™, the powerful princess students learn they can choose to follow in their parents’ footsteps or discover their own Happily Ever Afters! The Ever After Royals™ have chosen their parents’ path -- but not necessarily their style. 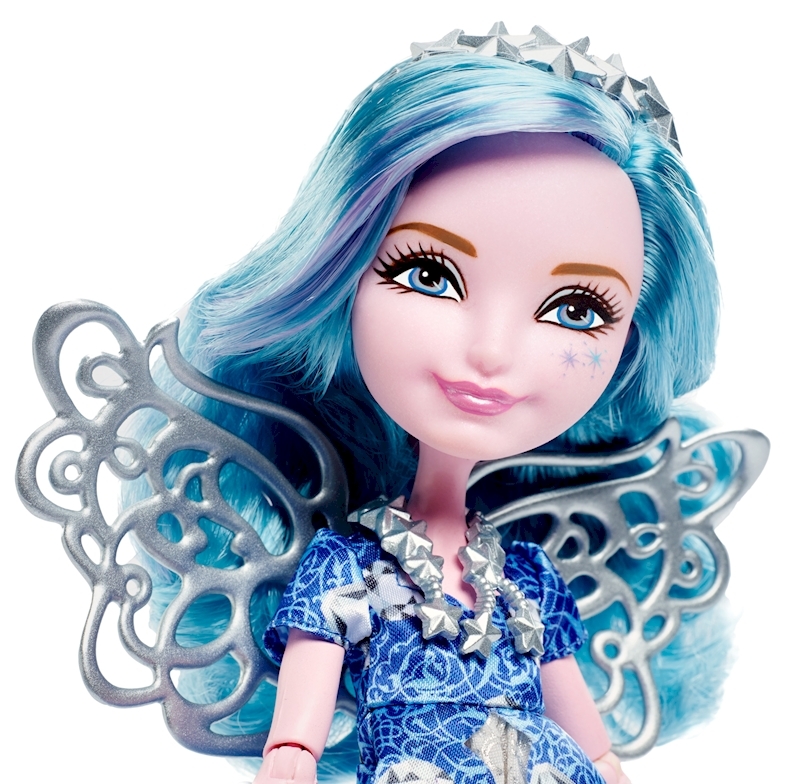 Farrah Goodfairy™, daughter of Cinderella’s Fairy Godmother, joins the Royals in embracing her fate. She is spellbinding in her signature iconic fashion that fans of the series will recognize from the webisodes. Details are hexquisite with trendy clothing, amazing shoes and fableous accessories inspired by her legacy -- like silvery wings and a wand. An enclosed storybook provides biographic details on the fairytale student. 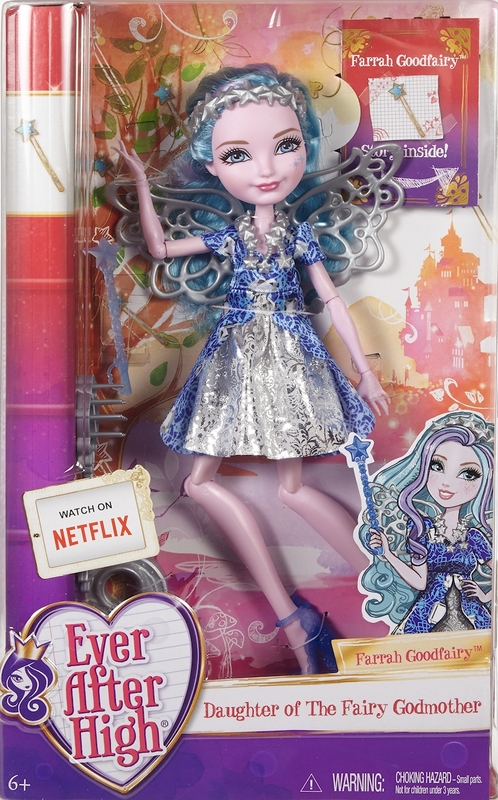 Collect all of the Ever After High™ dolls to expand the fun and find your own Happily Ever After (each sold separately, subject to availability). 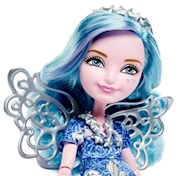 Includes Farrah Goodfairy™ doll wearing fashion and accessories, plus storybook. Doll cannot stand alone. Colors and decorations may vary.